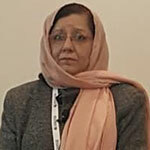 Prof. Dr. Rahila Yasmeen; Professor and Director Medical Education, Director MHPE Program, Chairperson faculty development committee, Riphah Academy of Research and Education, Faculty of Health and Medical Sciences, Riphah International University-Islamabad. She has 13 years of experience in medical education and involved in core activities of medical education at her institution e.g. Curriculum Planning & Development, Assessment Planning, Program Evaluation and Faculty Development planning & execution and Educational research. She is one of the core members in designing of Curriculum of RAK- COD Rasulkhaima College of Dentistry in UAE, which is one of the eminent projects of Riphah International University.  She is also a core organizing member of ICME- International Conference in medical. In her expertise, she has a wide experience & research work in faculty development & Curriculum development. She has publications in educational environment, Learning Styles, Assessment, faculty development and use of eLearning in medical education.